A season of spoiling not just yourself but your loved ones! It’s important to make those around you feel loved but also to take some time to spoil yourself and show yourself some much earned lovin’! 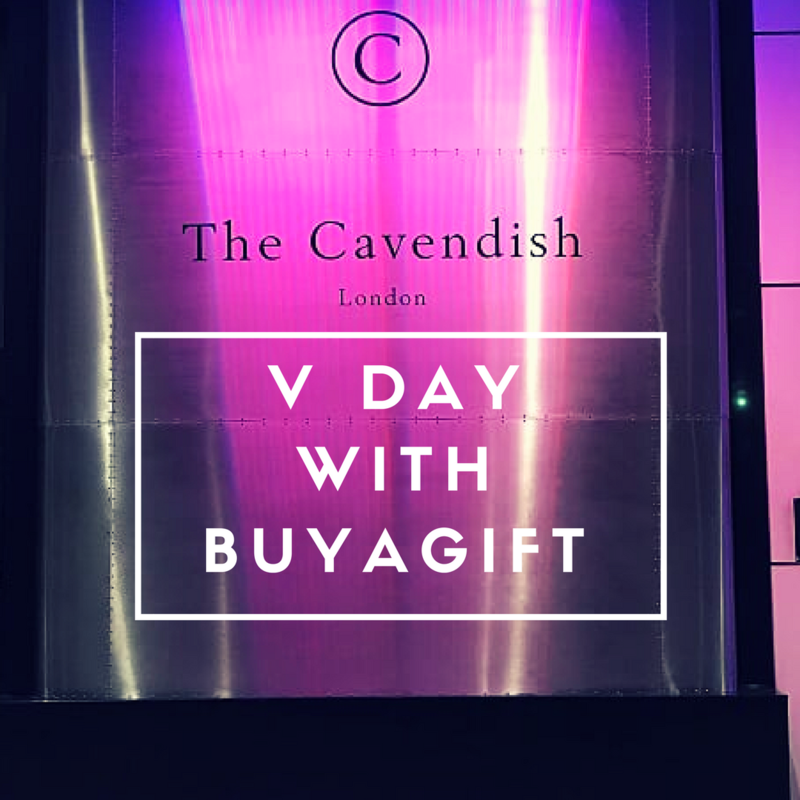 I have teamed up with the amazing BuyAGift to show you how easy it is to treat yourself and anyone you love this Valentine’s Season! So, when it comes to any sort of gift idea for my nearest and dearest, BuyAGift is the FIRST place I go! I love how unique and thoughtful their gifts are and how diverse they can be! You can go from a skydive gift to afternoon tea with your best mate! And, I love that! When it comes to buying gifts, I am all about keeping it unique and special to the person it’s for! So, when I thought about Valentine’s Day, where did I go first? BuyAGift of course! While my lovely man and I don’t go crazy for Valentine’s Day (it’s our anniversary a few days later), we still always try to do something nice together on a budget! 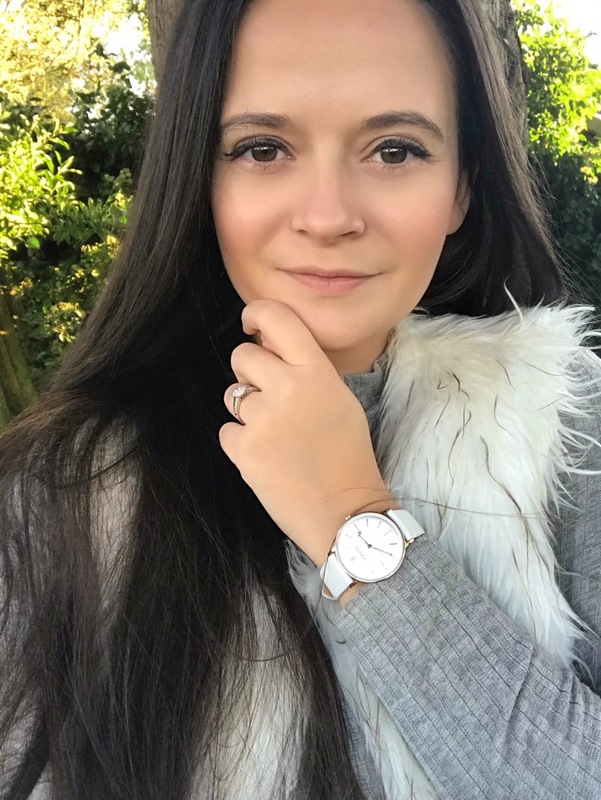 Dinner and drinks is always a win in our house – Lord knows that date nights are few and far between when you’re busy grafting and building a life, those date nights fall to the back burner but are so desperately needed! When I picked what to do with BuyAGift, dinner was a no brainer. I didn’t however, realise that that’s just the basics! 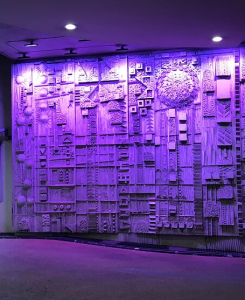 We live really close to London, in Windsor, so date night in the big city is more than doable! When we saw the option to visit a beautifully swank restaurant in Mayfair for dinner and bottomless Prosecco, we were SOLD! 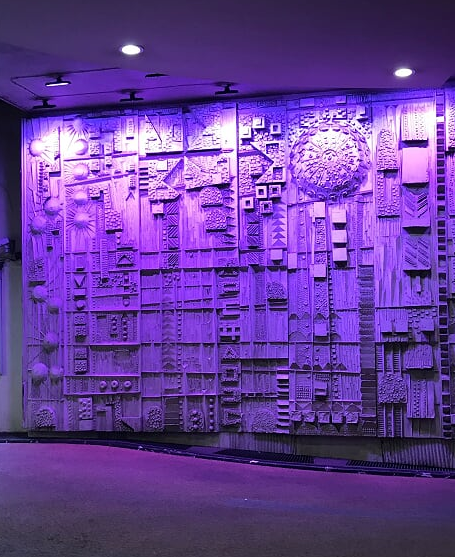 The Cavendish Hotel is set slightly back from the road amongst all the hustle and bustle of London but with all the swarve and sophistication of a country retreat. Grand decor and beautiful finishing touches welcome you into the hub of pure luxury and amazing food! Upstairs is the lovely large dining area that is spread out beautifully while also still having that intimate dining feel. I am just going to take a minute to praise the AMAZING staff! Nothing was too much trouble, everything we could have wanted was sorted. My boyfriend and I are the typical English people: don’t want to make a fuss, embarrass easily at grandeur and say sorry a billion times when nothing’s happened. 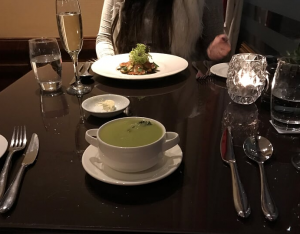 So, you can imagine, we were enamoured with the impeccable service provided to us at the Cavendish! Food (for me at least) is one of the most important parts of a date night and I was NOT disappointed! I wouldn’t go so far as to call myself a foodie but I know what I like and I know when it’s cooked properly! I am also more of a carb woman – if you know you know! If there’s any sort of comfort food available, be it pasta, spaghetti, pizza, ice cream – you can bet your bottom dollar that that’s what I am going to order! The food was amazing! It’s as simple as that! Three courses of delicious food and bottomless prosecco, what more could you want!? I went for a delicious caramelised figs, blue cheese and balsamic vinegar for starters. The tastes combined together was a sensation! Flavours you would never be brave enough to pair at home burst in your mouth and make you consider making love to the plate itself! My babe went for the soup of the day, I tasted it and I can confirm it was beautifully creamy, thick and packed full with flavour while also feeling healthy and not heavy! The second course was pure gluttony on my part! And I loved it! Do not let this shot deceive you.. this was a full on bowl, a very deep bowl, of delicious mushroom risotto! When it arrived, I thought, well this is going to be easy. Risotto meet Rosie. Challenge accepted. How wrong can one person be!? 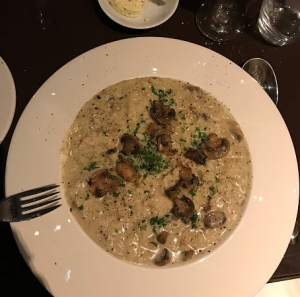 The pure delicious mushrooms paired with the creamiest risotto cooked to perfection – I had met my match! 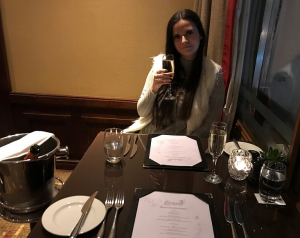 The risotto itself was beautifully complimented by the bubble prosecco which was being constantly refilled throughout our stay! I am ashamed to admit, I was defeated by a risotto. For the first time in my 25 years, I couldn’t finish my dinner! The meal was so delicious, packed with flavour and amazing mixes of flavours. The Parmesan cheese was ribboned throughout the rice and the mushrooms had the perfect amount bite. 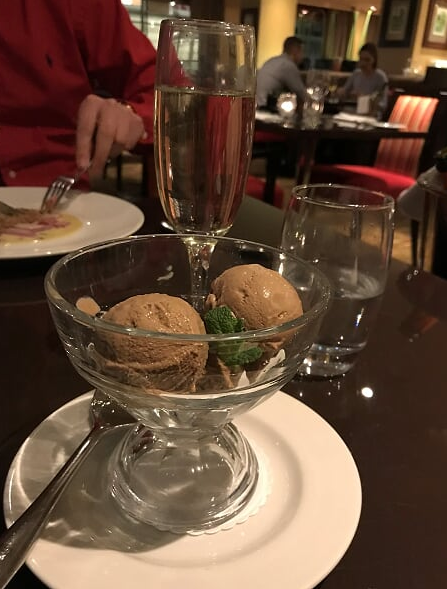 Your girl is definitely not a dessert person and it goes without saying that following two already amazing but filling courses, matched with many prosecco top ups, dessert was the last thing on my mind. But, with BuyAGift, they don’t scrimp on gifts; the evening included three courses and that’s what we were getting! Ice cream, you’d think you can’t go too wrong with it, right? That’s what I thought too! But when I tried the beautiful chocolate ice cream at the Cavendish I realised I had never tried ice cream before. The chocolate was so rich and the ice cream itself was creamy and melt in your mouth! 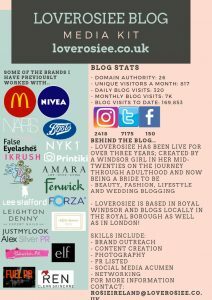 All of this amazingness was wrapped up in an amazing prosecco fuelled experience on the second floor in a gorgeous London hotel! So, if you wanna go full on luxury, fun and flavour without breaking the bank or having to feel uncomfortable or out of your comfort zone, get onto BuyAGift and find yourself a night out with them! BuyAGift is super simple to use and you can find some amazing experiences to suit all sort of budgets! 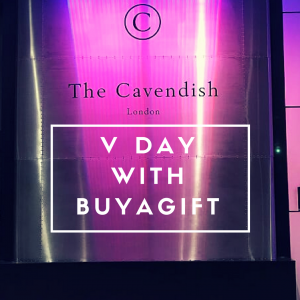 Thank you SO much to BuyAGift for letting me sample some of the amazing nightlife and foodie places that London has to offer for Valentine’s Day! This looks absolutely amazing! It looks like you had the best time ever and I love your pictures!